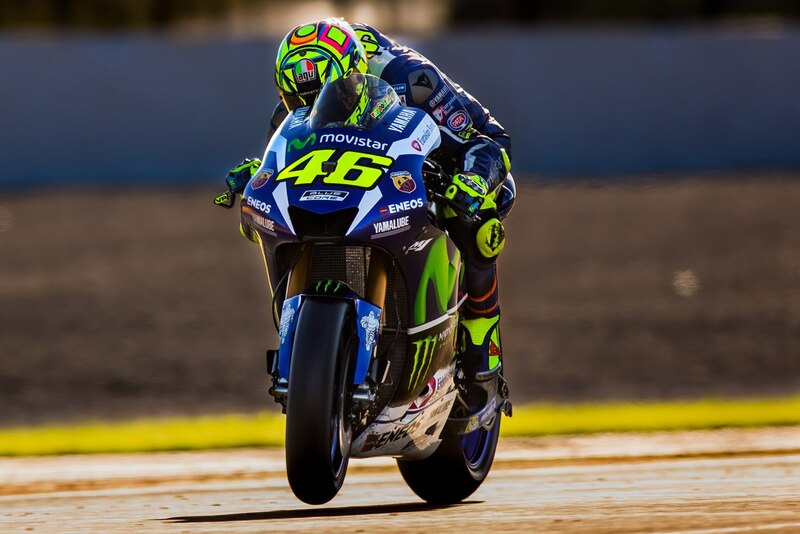 Who is the greatest racer of all time? It’s an unwinnable argument that inevitably includes superstars such as Mario Andretti, Tazio Nuvolari, A.J. Foyt, Juan Manuel Fangio, Richard Petty, Ayrton Senna, Sébastien Loeb, and Michael Schumacher, to name just a few. 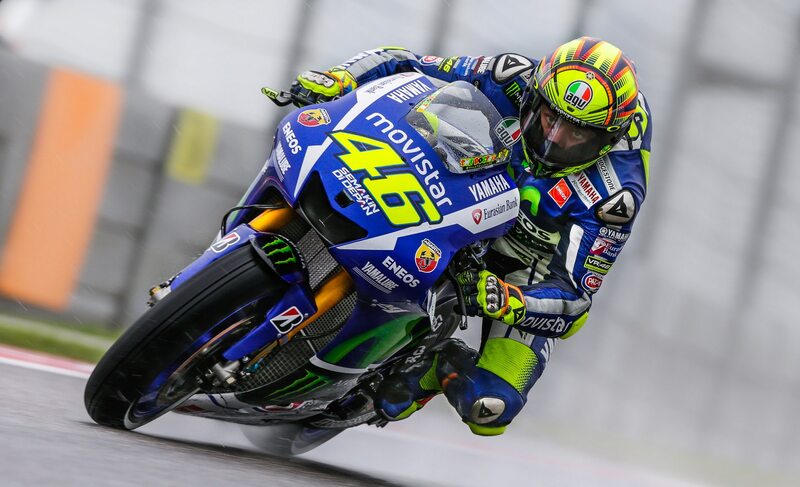 But perhaps the real king is a man known best for his exploits on two wheels rather than four, a motorcycle racer named Valentino Rossi. 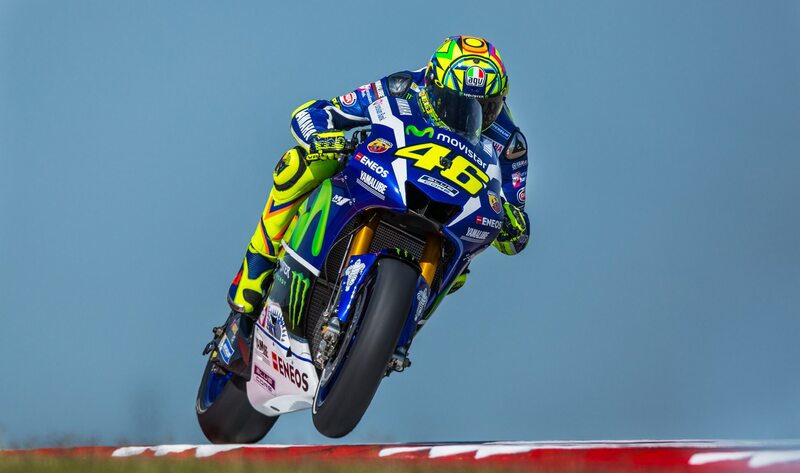 At 39, the Italian maestro is still fighting for the MotoGP World Championship, rubbing elbows with rivals at 220 mph. 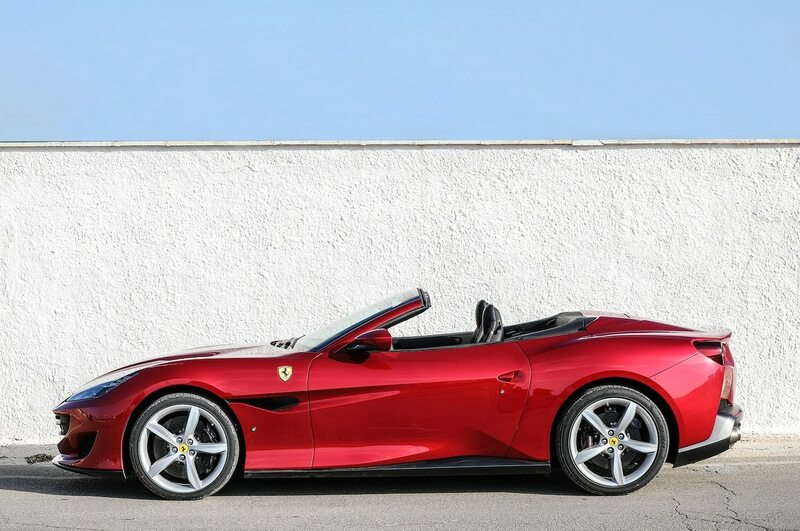 He has also won car rallies, competed in the World Rally Championship, and, perhaps most staggering of all, turned down a Ferrari Formula 1 drive. 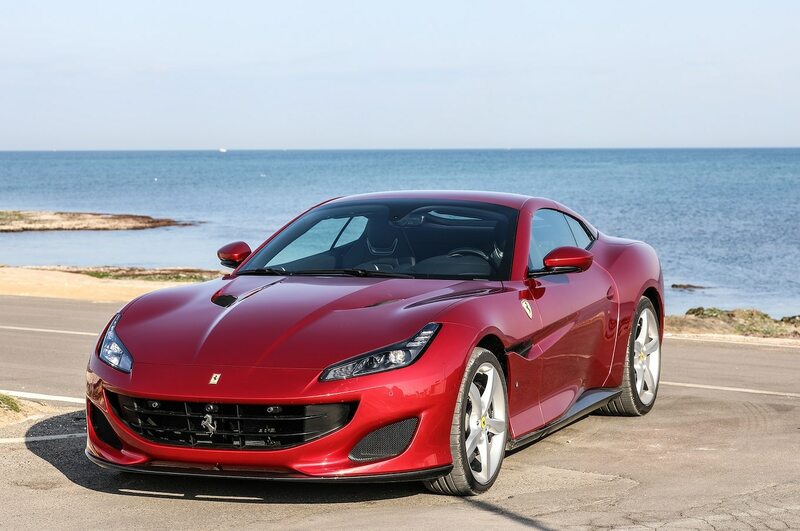 It’s a fact lost often to the passage of time, but a dozen years ago Maranello courted Rossi to join Schumacher, who was nearing the end of his reign in the world’s most glamorous racing team. 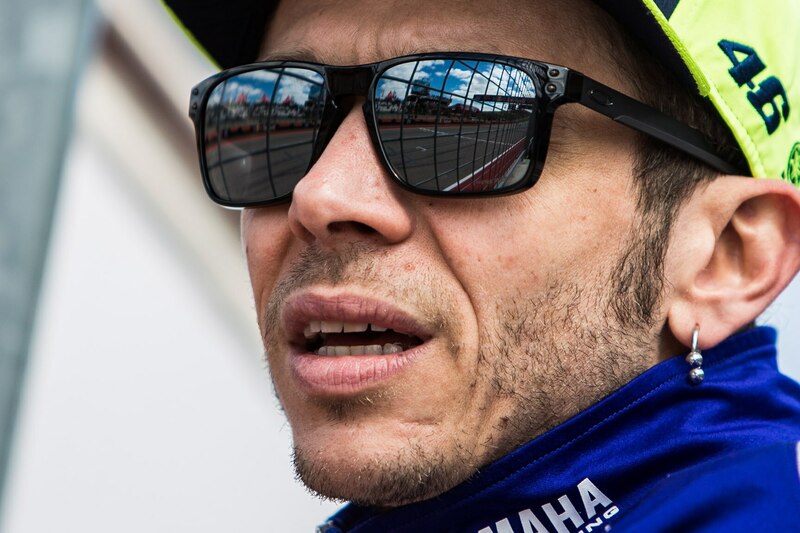 Rossi was approaching his 30th birthday and had been competing on motorcycles since he was 16, so it seemed only natural he might be ready for a new challenge. Both Ferrari president Luca di Montezemolo and F1 mogul Bernie Ecclestone wanted him in F1 because his rock ‘n’ roll swagger would be a huge boost for the series. 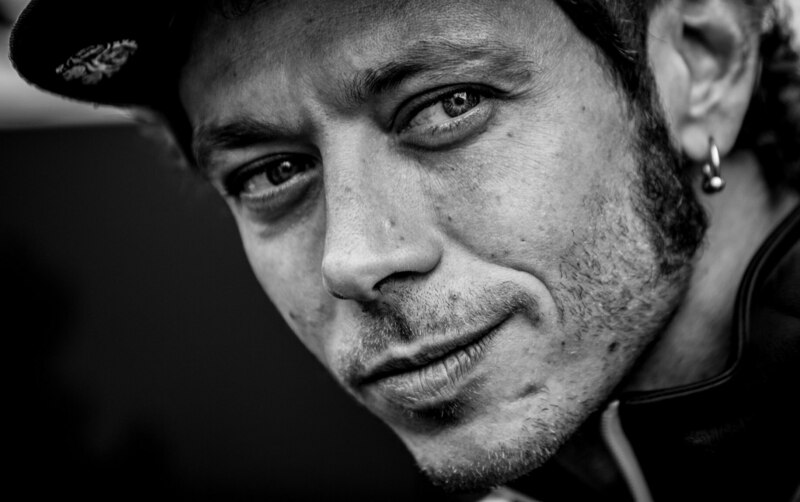 Rossi duly agreed to test for Ferrari, committing himself to a serious program expected to take him full-time into F1 in 2007 or 2008. 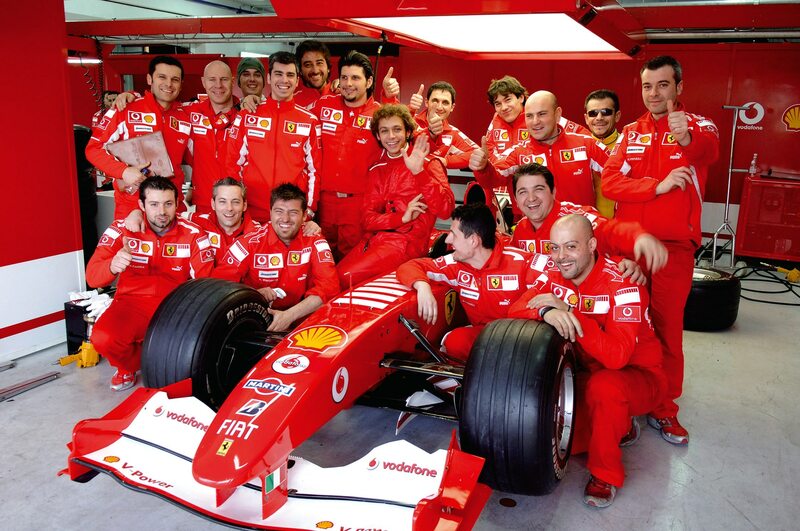 From 2004 to 2006, he completed more than half a dozen tests with the Scuderia in between his MotoGP duties. 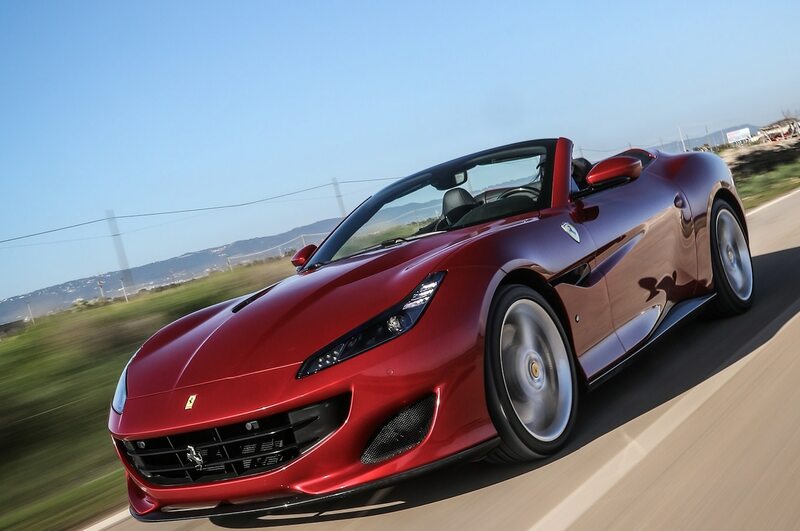 F1 cars are not easy machines to master. 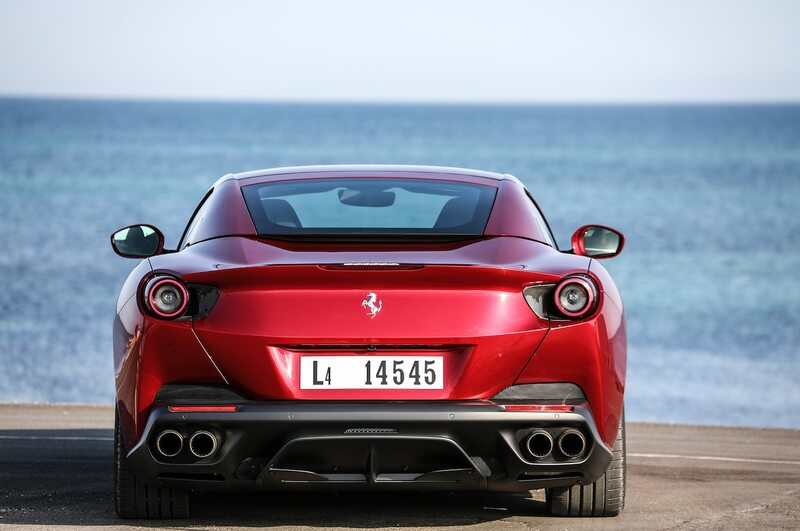 They are hugely complicated, a bit like a four-wheeled NASA rocket. 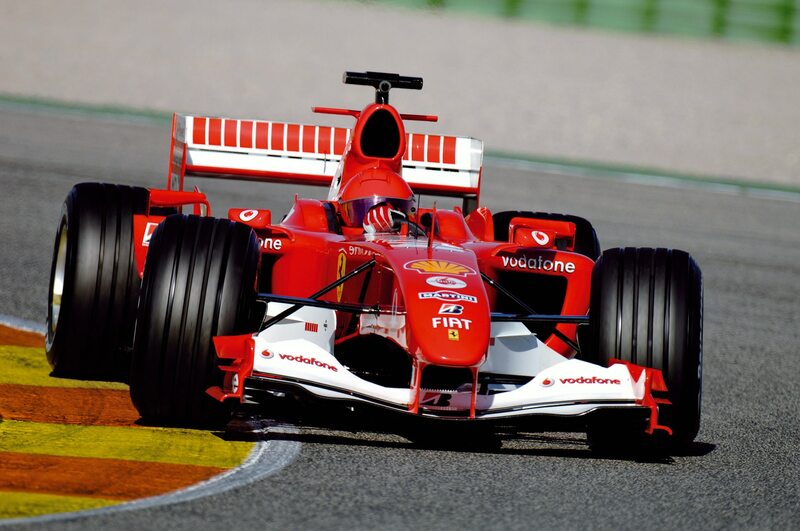 At Ferrari’s Fiorano test track in April 2004, Rossi switched from a 240-horsepower Yamaha MotoGP bike, which rode around corners using only mechanical grip via two tiny tire contact patches, to a 950-hp Ferrari F2003 that rocketed around corners via four mammoth slicks and mind-boggling downforce. The change didn’t seem to bother him. 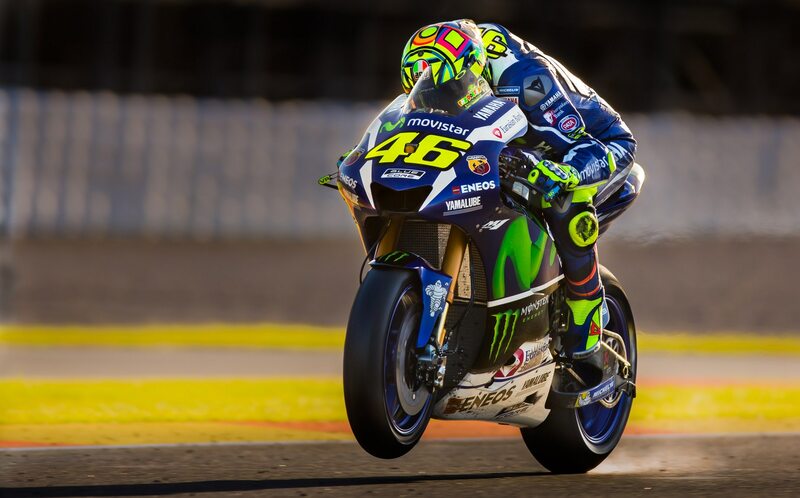 To Rossi the game was just the same: an engine, some rubber, a racetrack, and a timing board. 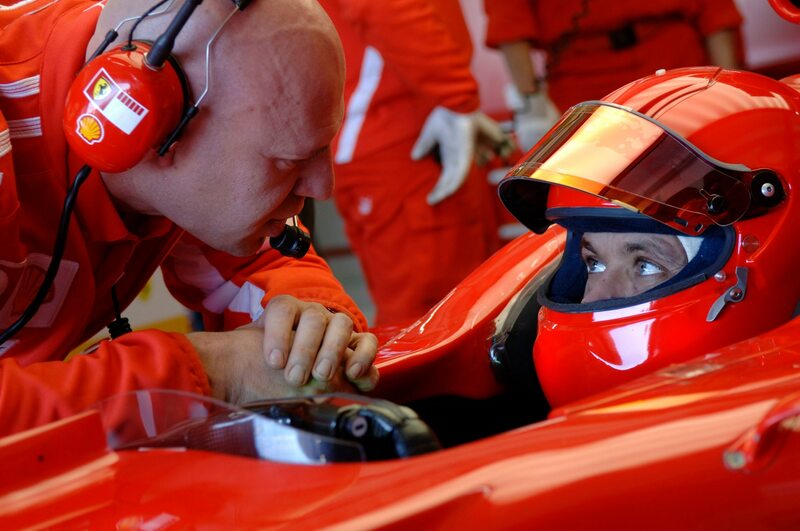 Schumacher was present during that first test, when the Italian was so unprepared that he had to borrow the German’s F1 helmet. 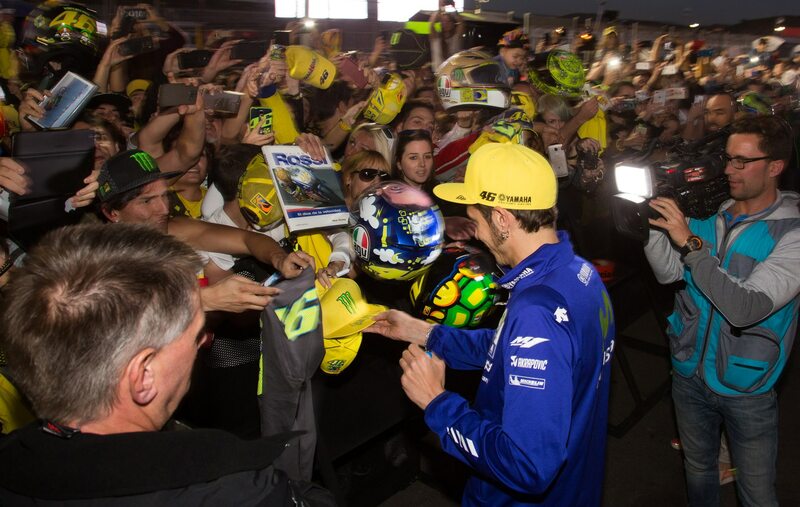 When Rossi returned to the pits after his first few runs, the most successful driver in F1 history could hardly believe what he saw when he checked the telemetry. He was stunned, even incredulous. 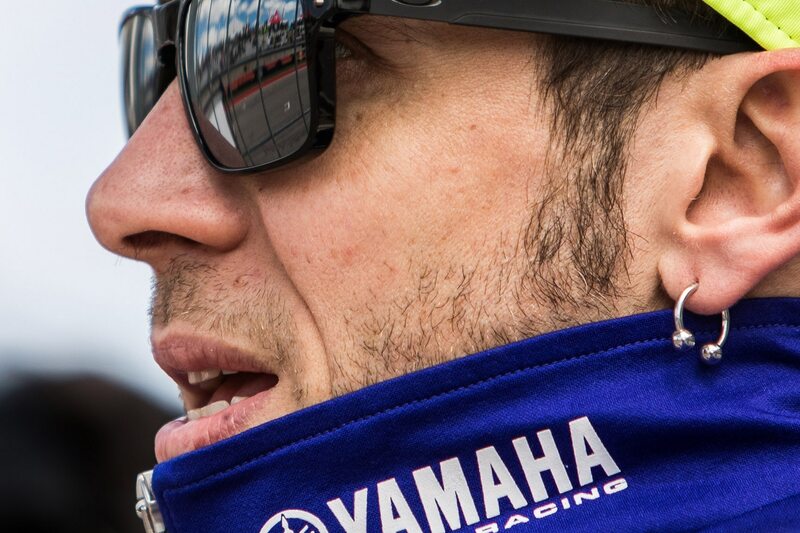 F1 car, rally car, MotoGP bike—Rossi can make them all sing. And no one else has ever done that, apart from the late John Surtees, the only man to win world championships on two wheels and four. But who else has turned down the chance to drive for racing’s most hallowed name? 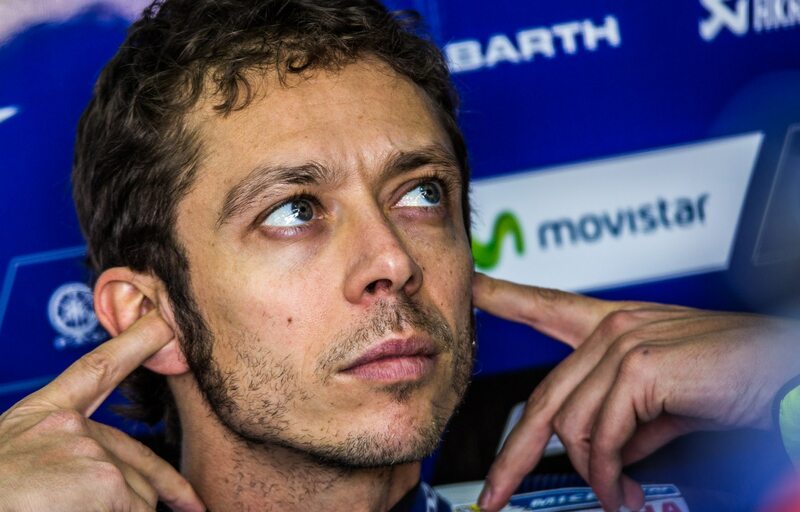 Rossi recalls the moment he made the decision to spurn Ferrari and four wheels. 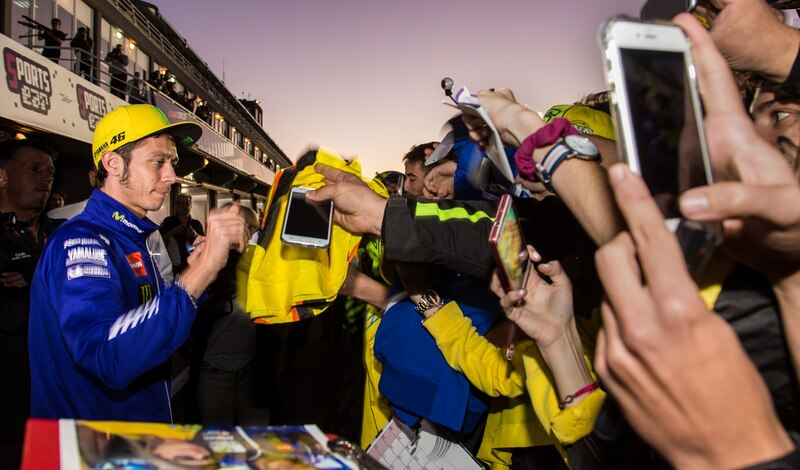 Rossi has won seven MotoGP world championships, the most recent in 2009—a long time ago, but he finished second in the championship in three of the past four seasons. 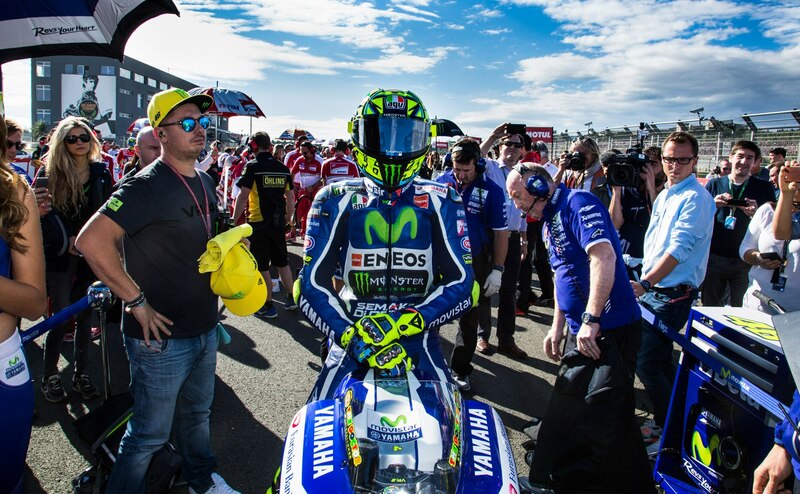 This year he sits third in the standings with four races remaining on the schedule. 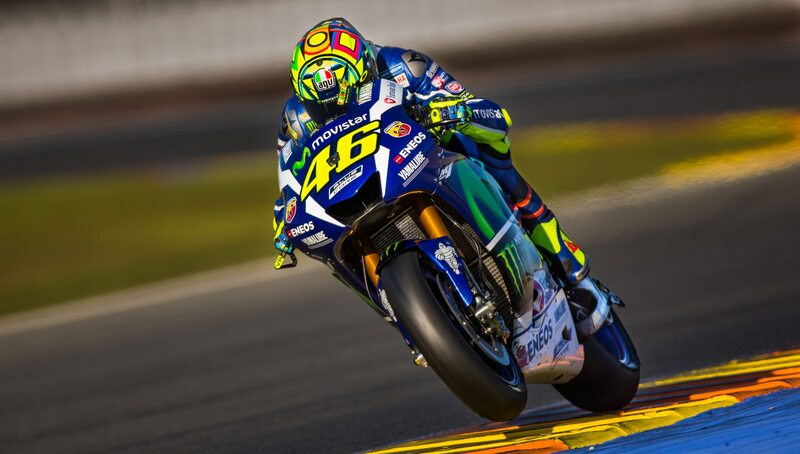 He holds the series’ all-time record for race wins, with 89. 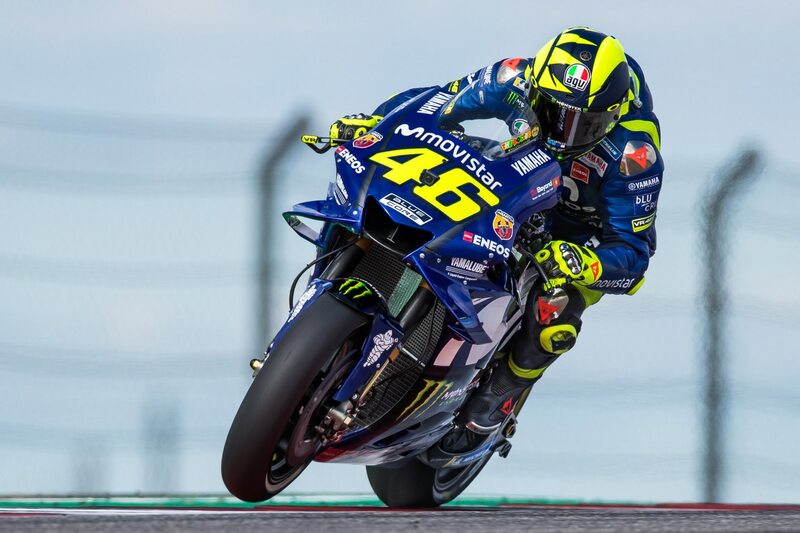 He took his first grand prix victory in the junior 125cc category in August 1996, and his most recent success came in the 1000cc MotoGP category in June 2017. 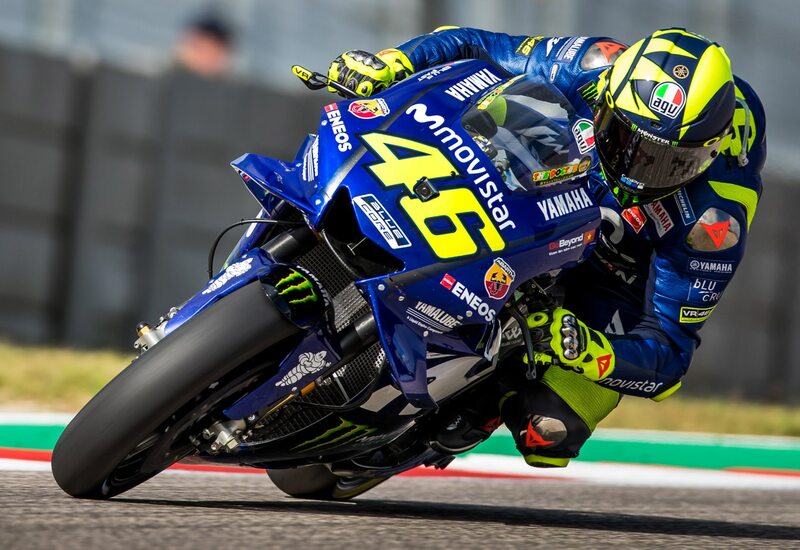 That’s a winning career that spans almost 21 years, a long way beyond Schumacher’s F1 record of 14 years between his first and last victories, especially considering the enhanced risks of MotoGP racing. 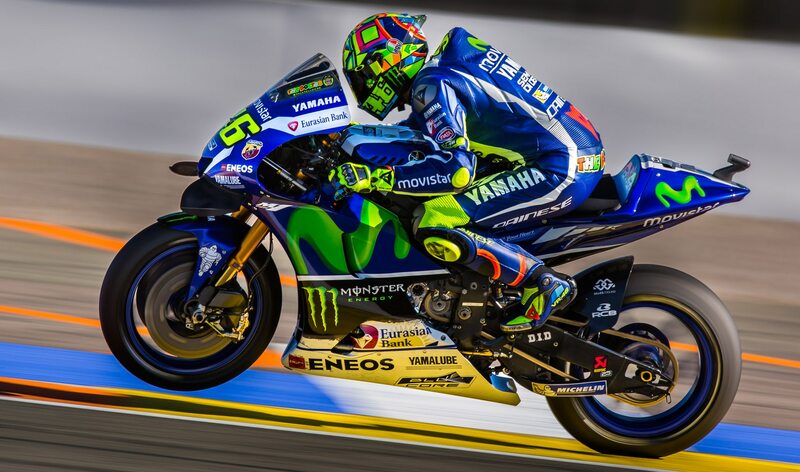 Bikes have a habit of chewing up and spitting out even the greatest of exponents; riders have no carbon-fiber safety cell, just a leather suit and a helmet. 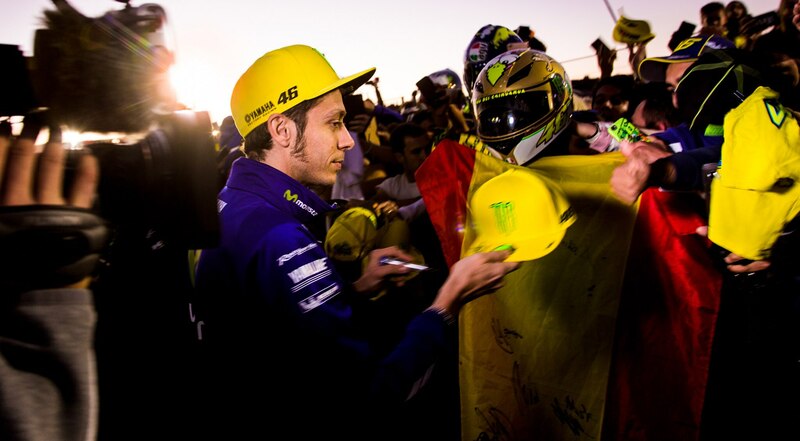 Rossi is a busy man during the season, contesting 19 MotoGP rounds, from Texas to Argentina to Malaysia to Australia and throughout Europe, as well as testing commitments and public relations duties. 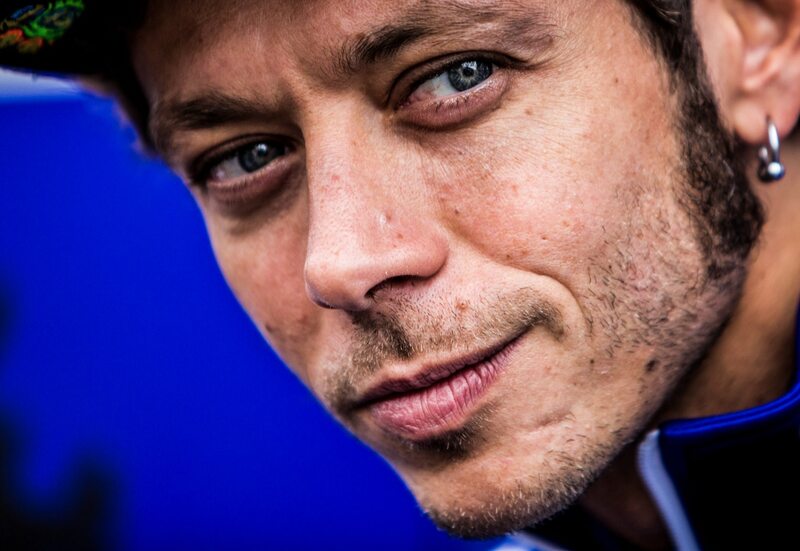 His opportunity to race cars is therefore limited to a month or two each winter. 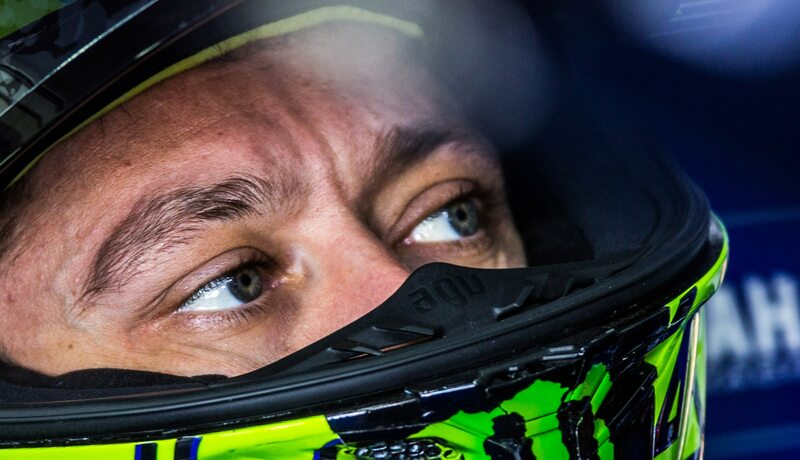 His has a soft spot for Italy’s Monza rally, which he has won a record six times. Last December he beat two professional car racers into second and third: factory Hyundai rally driver Andreas Mikkelsen and Audi LMP1 driver Marco Bonanomi. It sounds like an unlikely outcome, but it’s there in the record book, a plain fact as opposed to a myth. 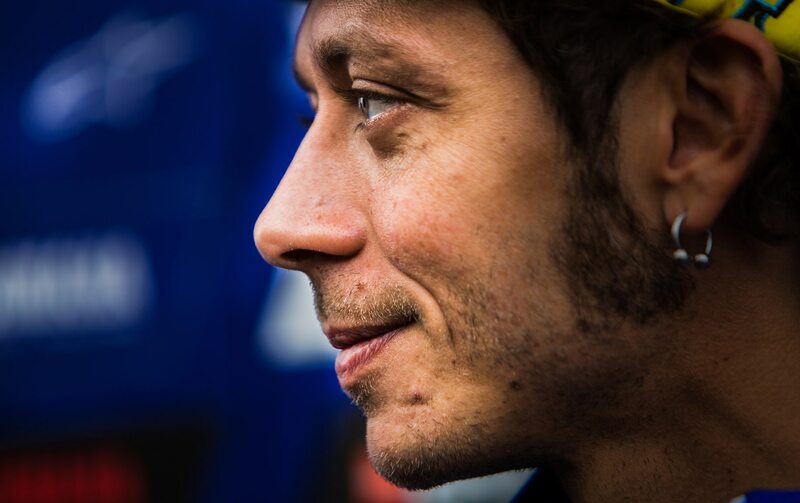 In the more distant past, Rossi managed to squeeze a few WRC outings into his motorcycling schedule, finishing just outside the top 10 in the 2006 New Zealand round. 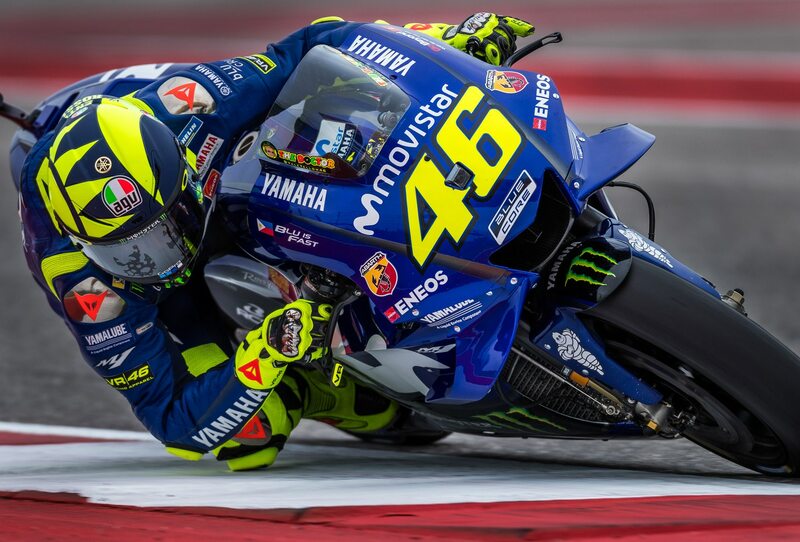 Perhaps we shouldn’t consider such performances unlikely; Rossi has spent his entire life playing with engines and wheels. 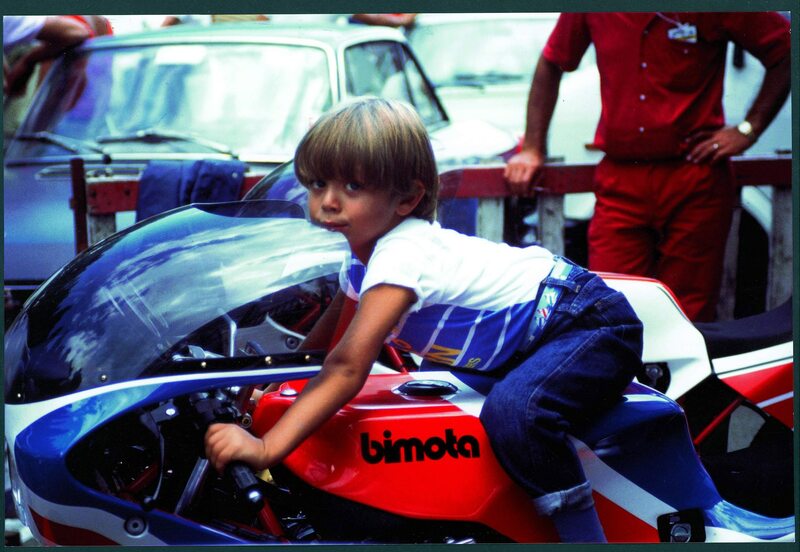 His father, Graziano, also a motorcycle racer of some repute, scored three grand prix wins in 1979, the year Valentino was born. 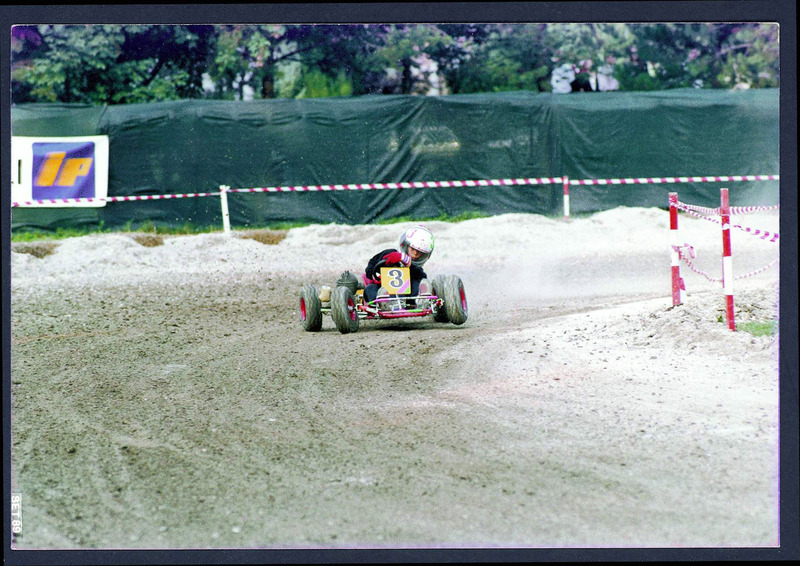 He was forced to retire three years later due to a head injury, and in retirement he built a racing machine for his son. But it wasn’t a motorcycle. Thus his son learned to do what he does best—battling on the brink of disaster—by thrashing this homemade device around the local gravel pits. 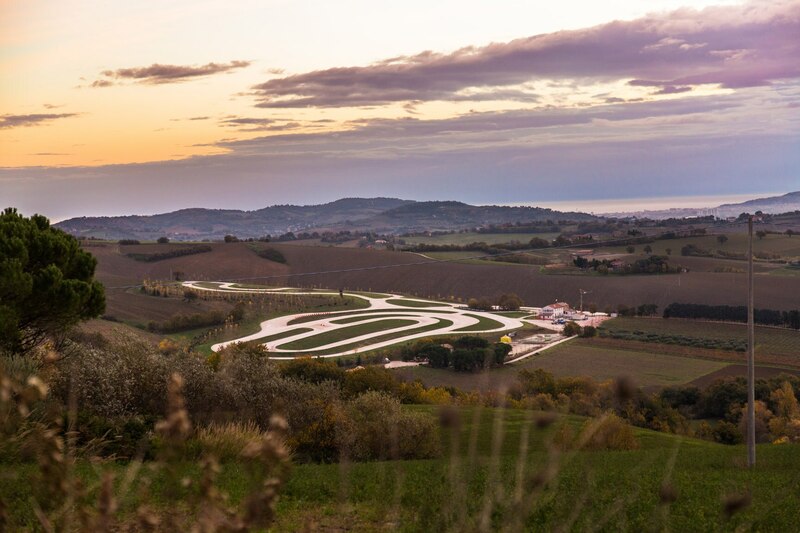 He started racing a few years later, finishing fifth in the 1991 Italian junior karting championship, with the plan to graduate to the European championship the following year. 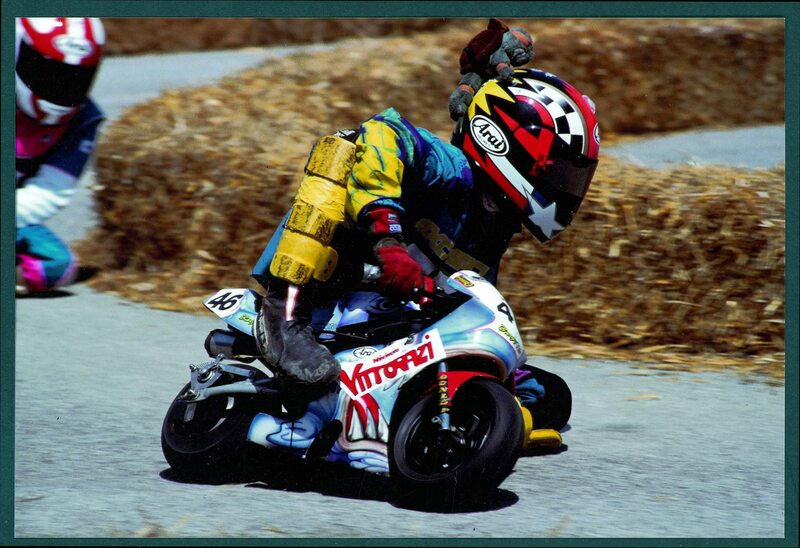 There was one problem: Rossi’s father didn’t have the budget necessary to contest the European championship, so Valentino suggested he should race something cheaper: a popular type of racing minibike called Minimoto. 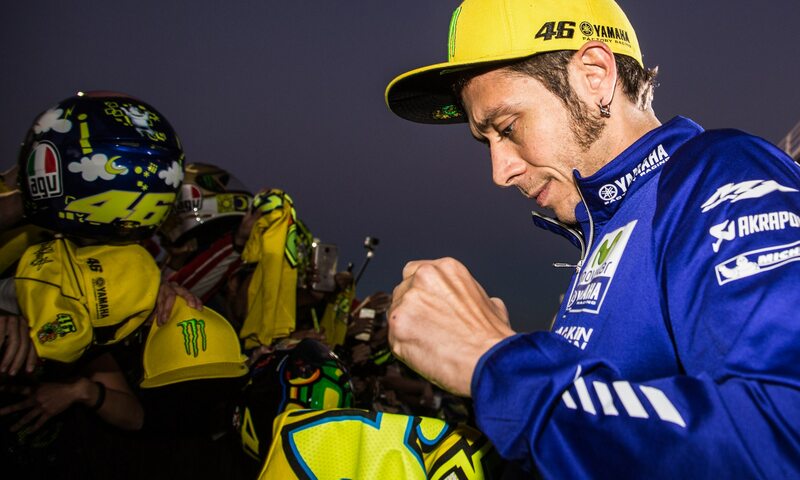 Rossi switched full time to motorcycles in 1992, winning the local Minimoto championship at his first attempt. 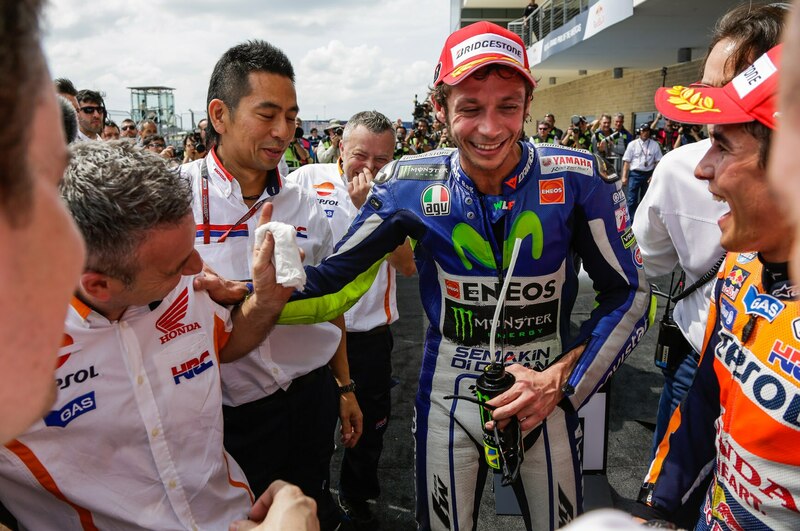 Three years later he was Italian 125cc champion, and in spring 1996 he made his Grand Prix debut. 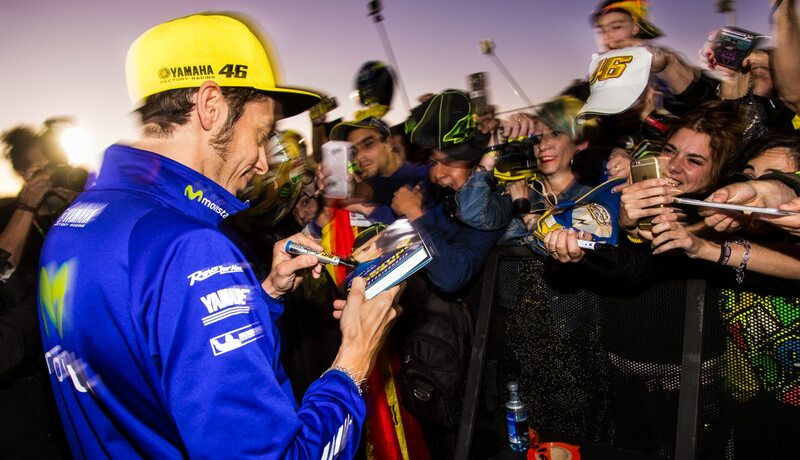 He won the 125cc world title the next year, then the 250cc world title in 1999. 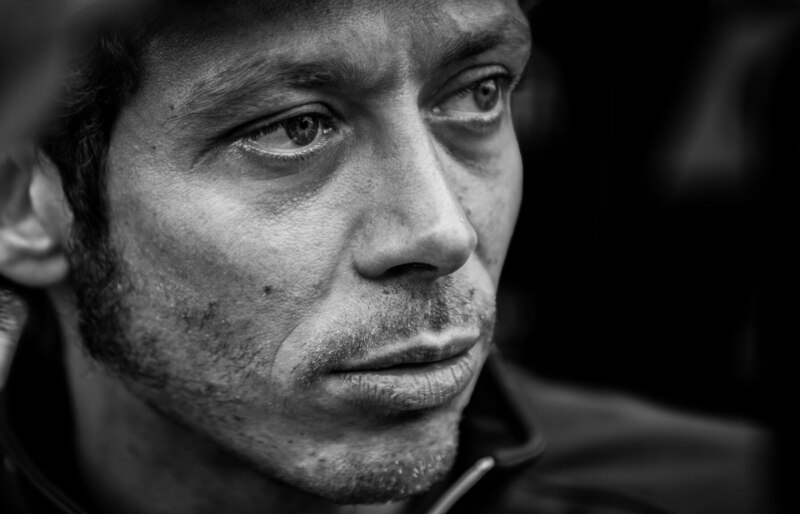 He graduated to the so-called class of kings in 2000, when the premier class featured evil 500cc two-strokes, with precipitous powerbands that had a nasty habit of overpowering the rear tire and flicking their rider into orbit. 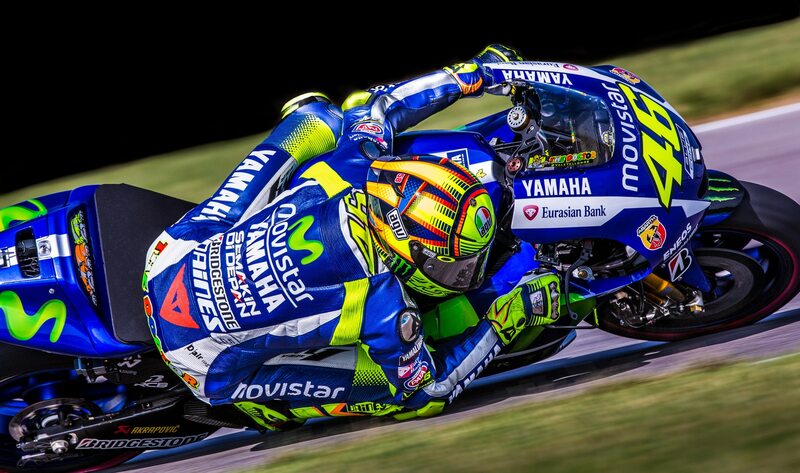 Rossi conquered the 500cc class in 2001, the year before the category switched to 990cc four-stroke machines. 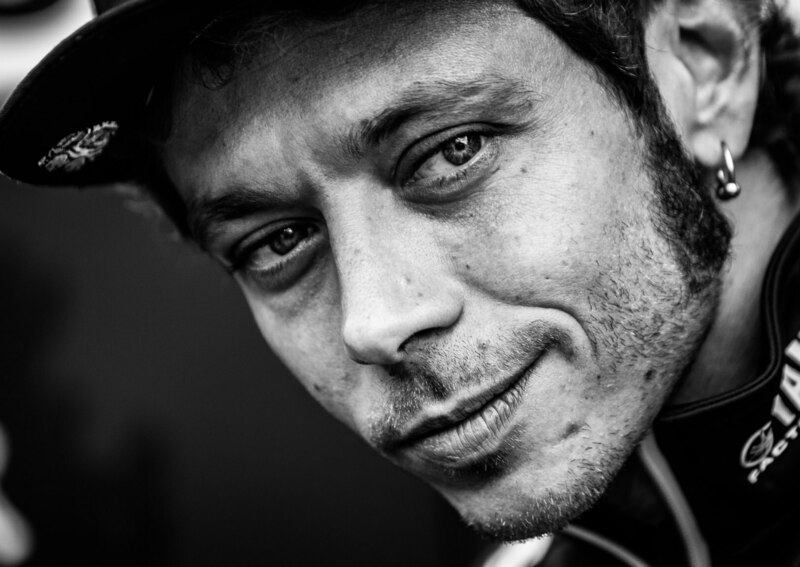 He has won world titles on every kind of bike he has ridden, a unique achievement. 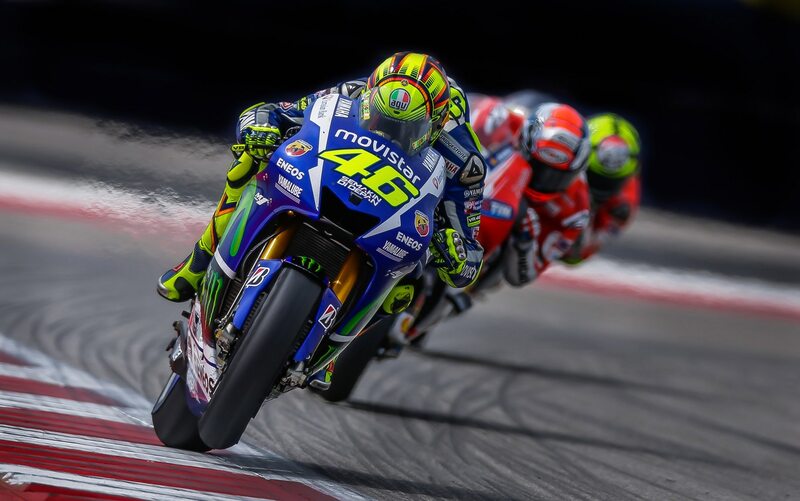 Every motorcycle racer has his own technique, his own way of taming a motorcycle via throttle control, body weight, and maximizing traction. But different types of motorcycles require very different techniques to extract maximum performance from their engines and chassis. 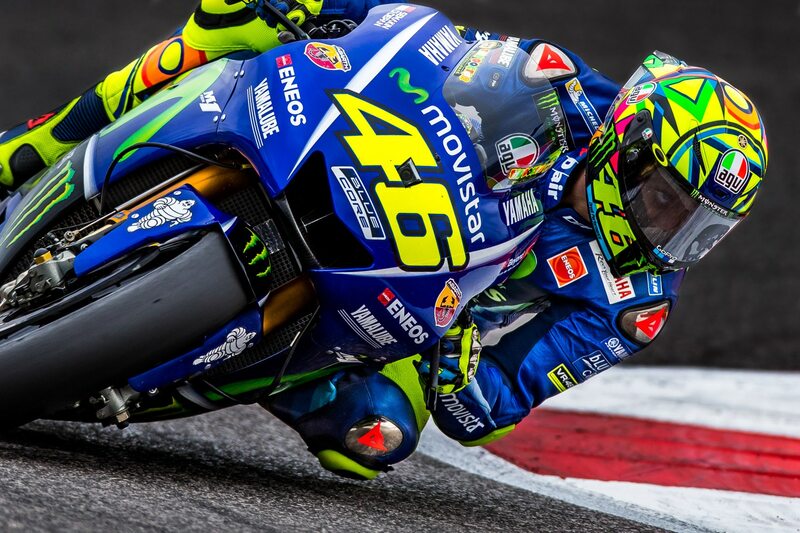 Rossi can swap seamlessly from one bike to another—the 500cc two-strokes he raced back in the day were very different machines to the MotoGP bikes he rides now. 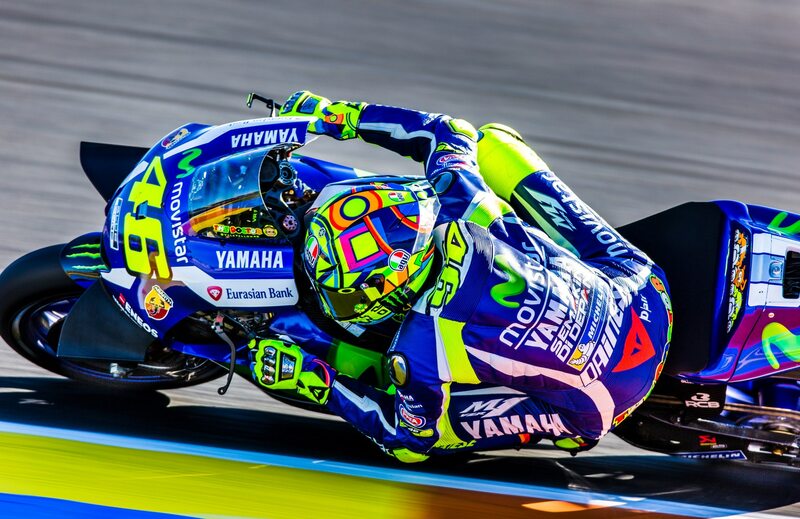 Rossi’s style on any kind of motorcycle seems effortless—finding a tenth of a second here and a hundredth there—but it’s when he has to fight to win a race that he becomes truly spectacular. And this happens both and off the racetrack. 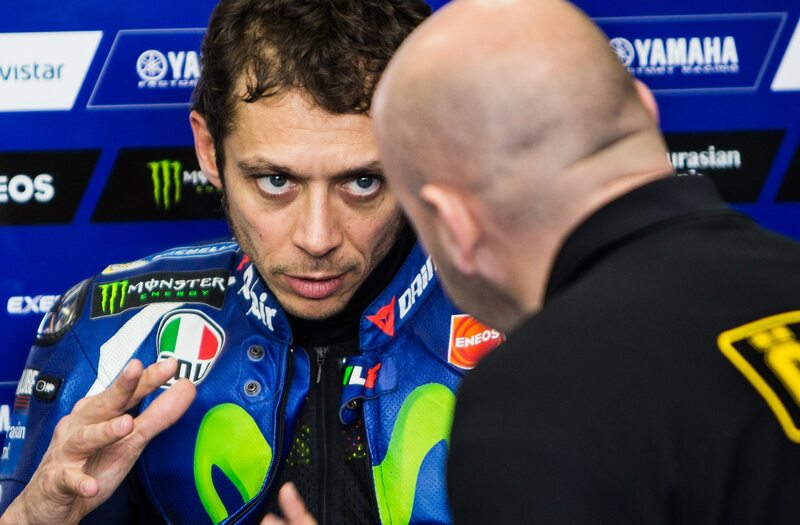 He has always been a genius for taking apart his rivals, whether it’s with an apparently offhand remark in a press conference or an ultra-aggressive move on the final lap. 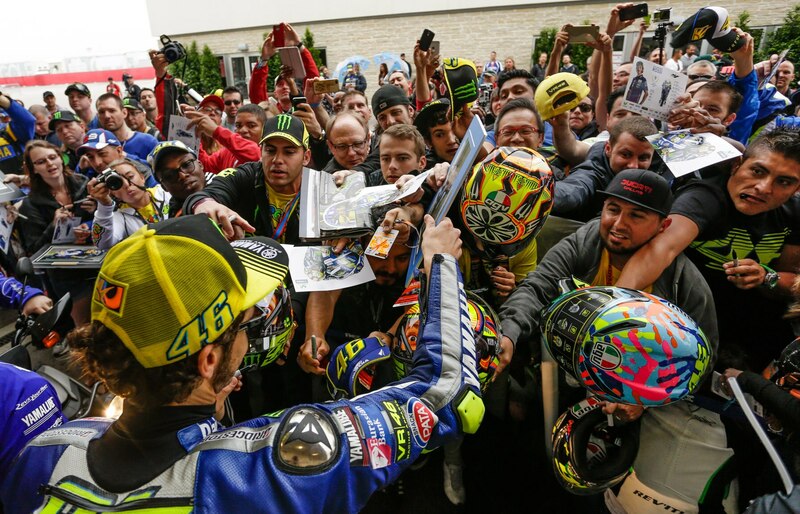 For certain Rossi has won plenty of races by getting physical—barging into rivals at the last corner or suckering them into crashing out—and he is still as unforgiving as he ever was. 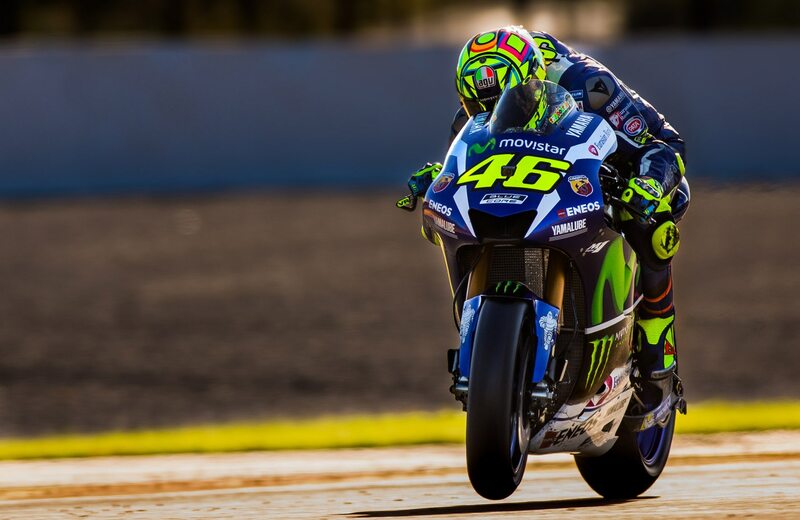 But how long can he continue racing motorcycles at the limit? Maybe another year or two, then it will be cars even though he would probably prefer to stick to bikes forever; they hold an endless fascination for him. 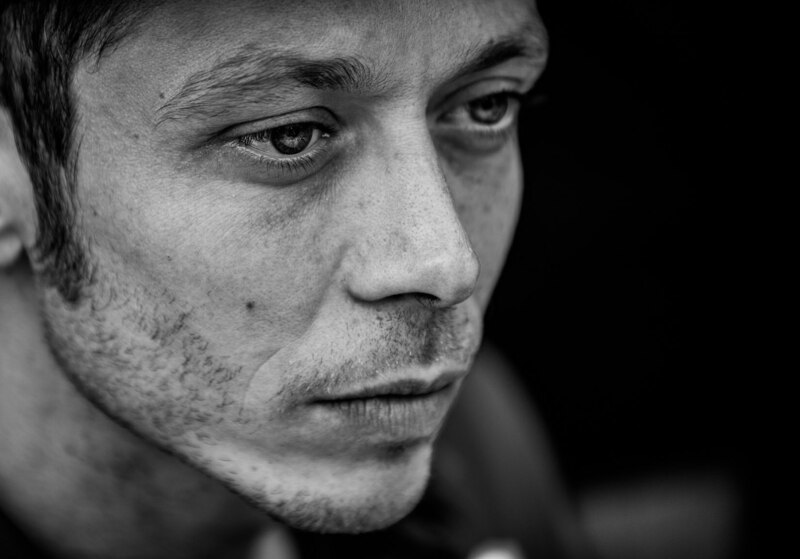 “Even now in bike racing, it seems like there is something undiscovered,” he says. 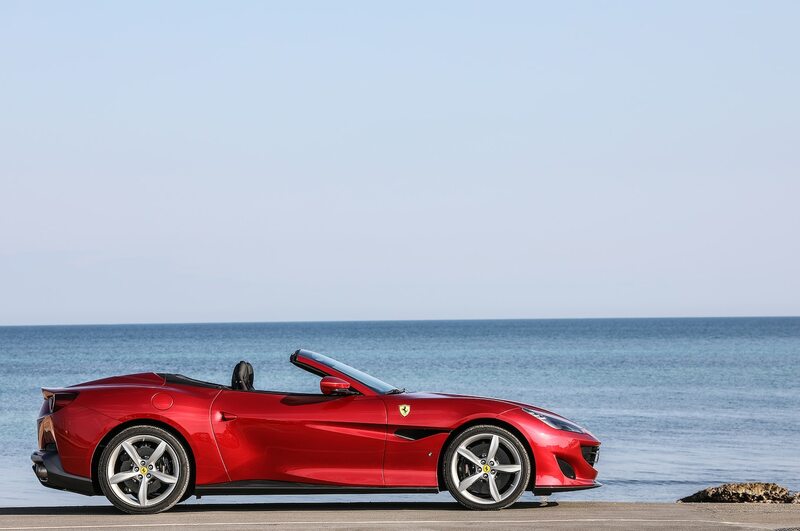 “When you drive a car, you are always in the same position, you are stuck in the seat, all you have to do is drive. On a motorcycle you use a lot of body movement, so the rider is more important than the driver in a car. 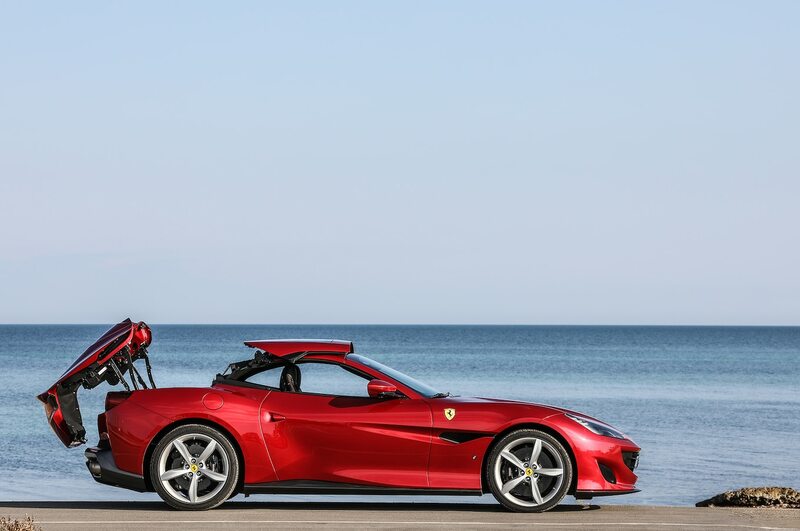 I like driving cars, but for me riding bikes is more exciting and you can express yourself more. 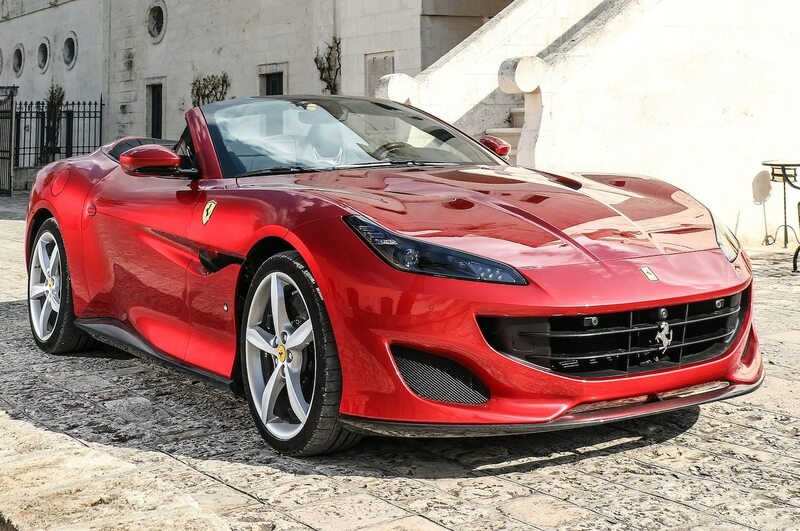 Despite turning down Ferrari, he loved driving the company’s F1 cars. 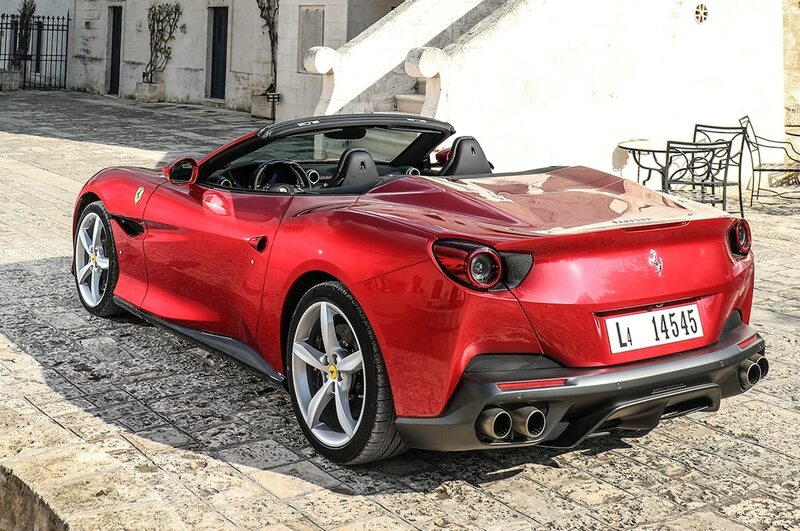 “The car is f****** incredible, the acceleration is unbelievable!” he grins. 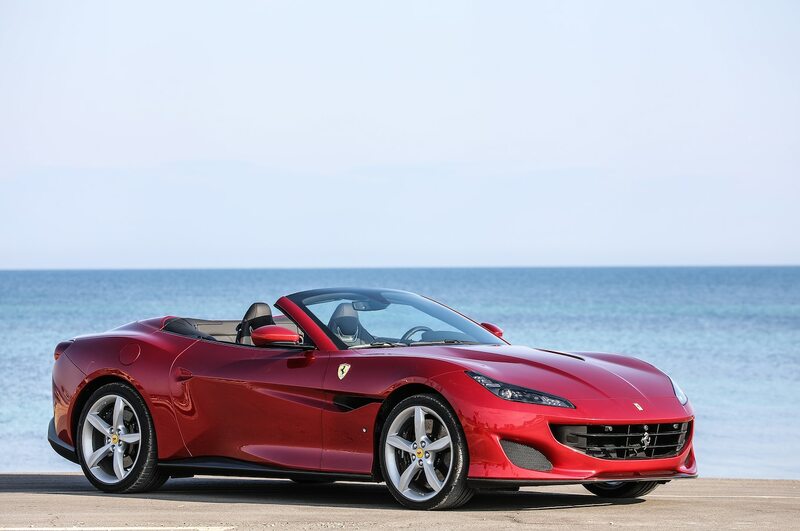 “Maybe it’s about the same as a MotoGP bike, but the feeling is more exciting in the car. 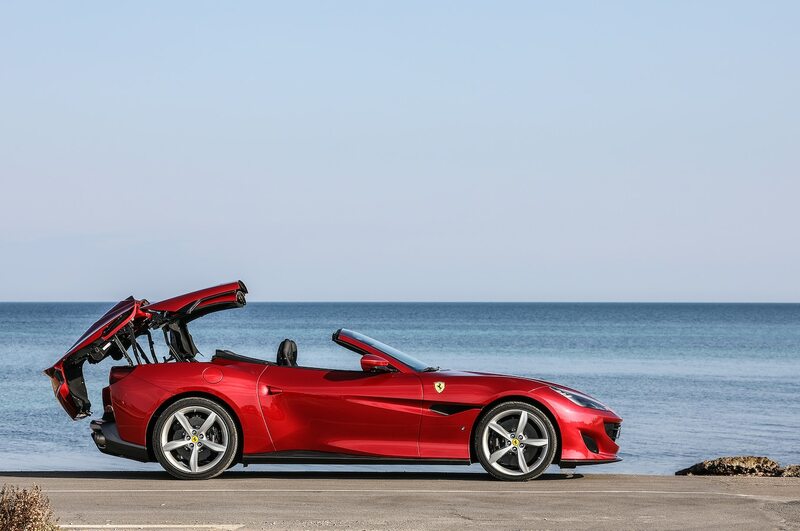 You feel the acceleration more because you sit lower and because the bike is light and very powerful, but the car is heavier and even more powerful, so you feel the push a lot more. 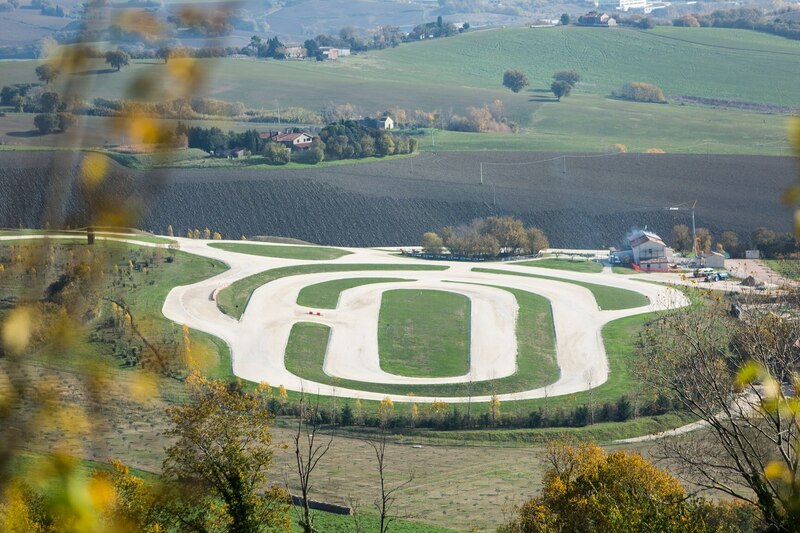 It makes sense, then, that when Rossi does finally switch to cars, he will most likely swap asphalt for dirt, because he loves rallying so much. 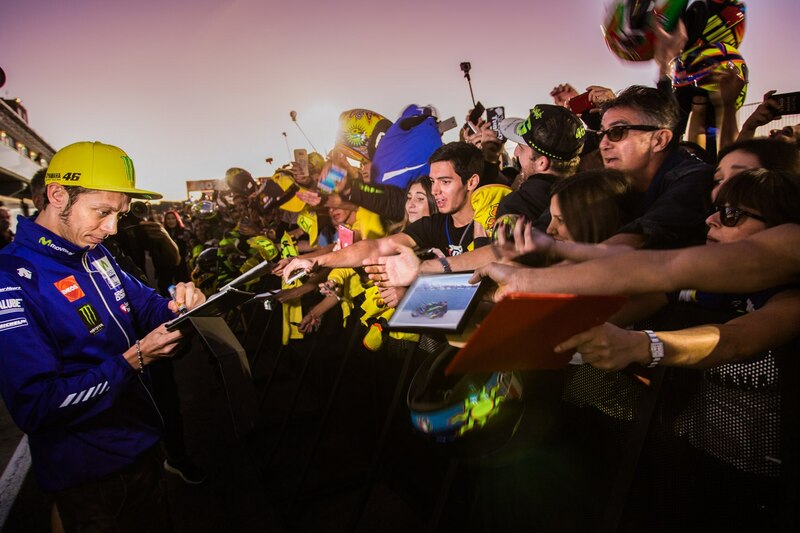 The switch is still at least a few years away: Rossi has already signed to stay with Yamaha’s MotoGP team for 2019 and 2020, so perhaps he will commence his full-time car racing career in 2021, when he will be 42. 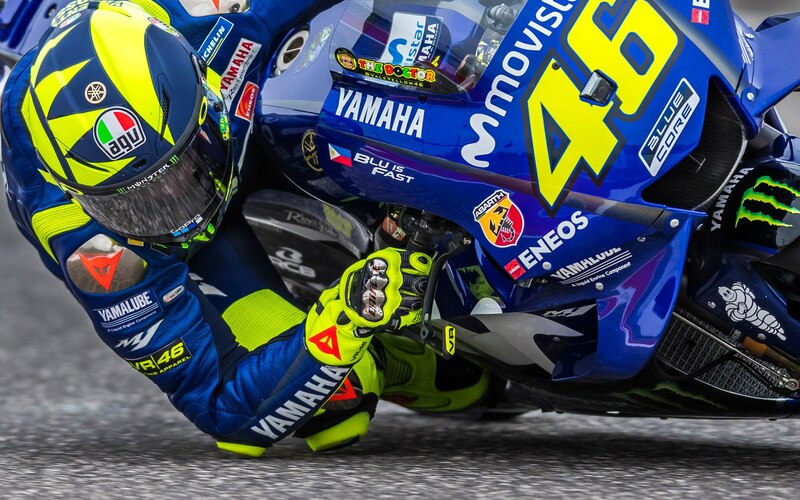 Catch his motorcycle exploits before he scrapes his elbow through one final apex, because there might never be another racer quite like him.